Hi guys.All the books I had on Kindle are now out of publication and will be for at least the next 6 years unless my brother wants to take them over. Sorry but it is the governments idea and not mine. 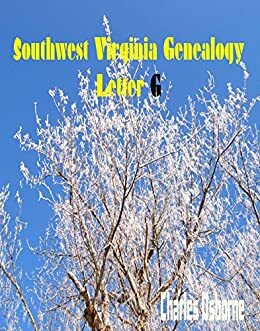 This is the website for all things about Southwest Virginia Genealogy. As most people know this is an important melting pot area for people to have met and married in the expansion of America. The Scott County area is famous for the Wilderness Road and most families had to travel through here to go to other parts of the country. This are has a natural gap that let people travel trhough the mountains. From this a lot of people met for the first time and married and then spread out all over the country. 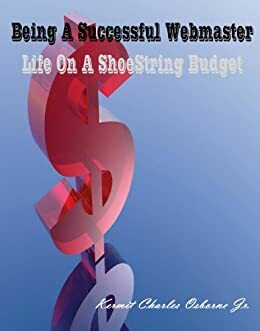 I have started a series of books that are available on Amazon as electronic books, or ebooks. 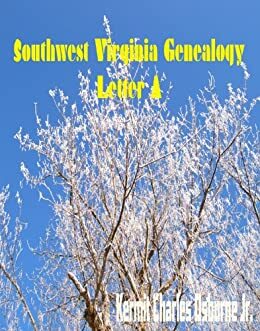 These books can be viewed on Kindle, your computer, and other book reading devices. View the books page for more information. I am unable to provide you with my actual books here due to my agreement with Kindle. You will need to go there and purchase. 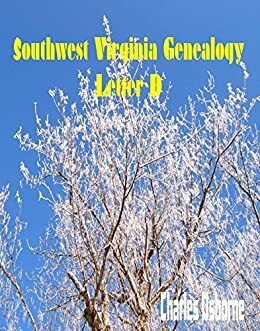 I do have other files that you can access here that are about some of my immediate family and the paid section has some other information. If I can be of any service you can email me at charles_osborne@hotmail.com.